“Why do you seek the living among the dead. He is not here, but is risen! On Palm Sunday we celebrated JESUS triumphal entry into the holy city of Jerusalem. On Monday He cleansed the temple of God from the religious thugs and dacoits of His time. Tuesday and Wednesday He gave the Great Commandment and discourses on unbelief, signs of coming calamities and of the judgment day. Before the day was over His one disciple Judas Iscariot who was thief and unfortunately in charge of money box of Jesus ministry sold his Master to chief priests for thirty pieces of silver. He was the only one of the Twelve disciples not native of Galilee. There is no dearth of Judas Iscariots (non-Galilee’s) working voluntarily in the Church ministries today as well. Thursday was the day of preparation for the Passover and the final meal after which JESUS washed the feet of His disciples and taught us to do the same in order to follow His example of servant hood. He gave His disciples closing words of encouragement. We call it Good Friday and it was good for us that the day was completed as it was meant to be. It was, however, a day of horrendous pain and suffering for JESUS. He stood before the Council, Pilate and Herod. Just as it is in our day there were many in that day who believed JESUS should be accountable to them. Finally the hour came when He was to be nailed to the cross, a rough and rugged cross, to die the most painful and humiliating death. Some mourned while others ridiculed Him to the very end. It was a black Friday. “Now when the sixth hour had come, there was darkness over the whole land until the ninth hour. And at the ninth hour JESUS cried out with a loud voice, “Eloi, Eloi, lama sabachthani?” which means “My God, My God, why have You forsaken Me?”…….. And Jesus cried out with a loud voice, and breathed His last. (Mark 15: 33-37). JESUS was buried in a borrowed tomb. Have you ever tried to borrow a grave for just three days? It is most probably unthinkable and impracticable in human history. But it is hard fact which cannot be denied. The word began to spread on the Sunday morning following the Sabbath Day, when Mary Magdalene, Mary the mother of James, and Salome went to the tomb and found the grave empty. And they were greatly perplexed to found two men stood by them asking, “Why do you seek the living among the dead. He is not here, but is risen! Remember how He spoke to you when He was still in Galilee.” (Luke 24: 4-6). People who heard about the tomb being empty could not keep that message to themselves. My dear brothers and sisters in LORD JESUS CHRIST nor should we now while we are celebrating this “Blessed Easter”. Within the next 40 days JESUS personally appeared to His disciples and many people in numerous places. Five hundred people saw him at one time. The first four books of the New Testament, in the Holy Bible, and these chapters -- Matthew 21-28, Mark 11-15, Luke 19-23 and John 12-19 support this . The case of His resurrection was iron clad. That is the best good news any human being could ever hear. The message of resurrection of JESUS from the dead is the base of our salvation through faith in Lord Jesus Christ. During my 40th years of faith Church ministry, this message of resurrection of JESUS from the dead has touched and changed thousands of lives of different faith groups around the world. Let us spread that rumor of truth “Why do you seek the living among the dead. He is not here, but is risen!” far and wide, today and every day till JESUS does not come again. Amen! May the joy of the risen Lord Jesus Christ be with you. 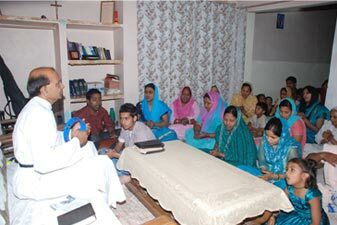 Rev Isaac Newton Johnson is an Indian Evangelical licensed Priest serving the Lord since 1976. 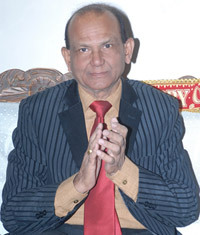 He is the Founder President of the �Voice of Christians Evangelical Church� and �Shanti Solomon Memorabilia� (A Unit of the Voice of Christians Ministries), Ludhiana, India since 1999. He has researched on the decline of Christianity in the West (North America and Europe) and has done his two years of Bachelor of Divinity in this subject from International Theological Open University, Sri Ganganagar, Rajasthan in 2002. Through his three fold teaching, preaching and healing ministry the Holy Spirit saved and healed so many people who had been sick. 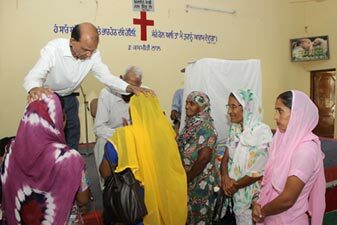 He works among the most poor people in India. He has gift of preaching in English, Hindi, Punjabi and Urdu languages fluently. He has been invited by the Sungkwang Presbyterian Church, Guri, South Korea in June, 2004 as Guest Speaker from India. Isaac and his wife Manju are married for thirty three years, with two sons Jacob and James and one daughter Nisha Johnson who is an American citizen now and settled in U.S.A.